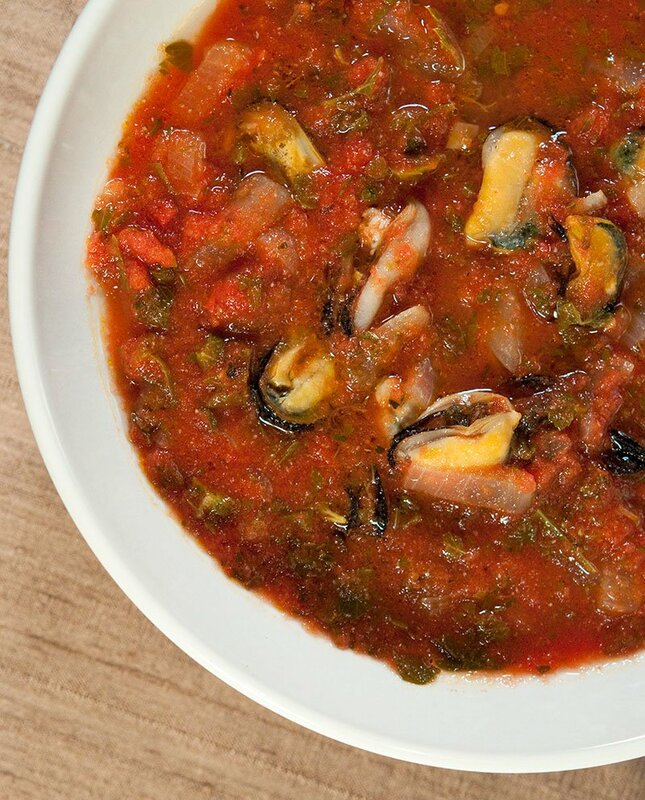 Mussel soup, Italian style, is a sort of a hybrid between a pasta sauce and a soup, and really can go either way. As a soup, you need some crusty bread to sop up the briny tomato sauce, or you could drop in some small pasta shapes, such as elbows or orzo, and get the same effect. I developed this recipe from one I found in Marcella Hazan’s classic, Essentials of Classic Italian Cooking. She uses less hot pepper and does not take the shells out of her soup. It is a very simple mussel soup: Steam the mussels open, use the broth for the soup. Add tomatoes, garlic, olive oil and parsley. Easy-peasy. I prefer this soup chunky, but if you want you can puree everything, or everything except for the mussels. You can substitute oysters or clams for the mussels, if you want. 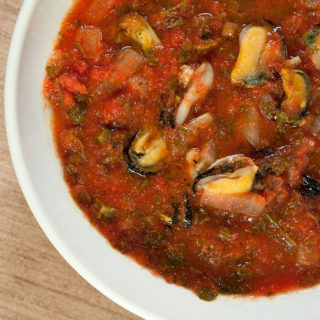 Or, if you have mussels and want to take your soup another way, try this Sardinian shellfish soup. You'll want to take your mussels out of their shells for this to make the soup easier to eat. It's a two-step process: Steam the mussels out of their shells and remove the meats, then strain and use the mussel broth for the soup. 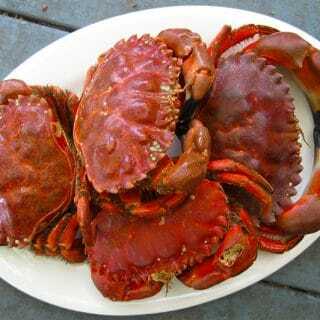 Pour about 1 cup of salty water -- ideally boiled seawater -- into a large, wide pot with a cover and bring to a boil. Add the mussels and steam until they all open, about 3-5 minutes. NOTE: If you are using wild mussels, you will need to scrub and debeard them all first. When the mussels are open, pick out the meats and put in a bowl. Toss with a little olive oil and set aside. Strain the mussel broth through cheesecloth or a paper towel into another bowl. In a soup pot, get the olive oil hot over medium-high heat. Add the shallot and saute for 2 minutes, stirring often. Add the garlic and saute another 1-2 minutes. Pour in the mussel broth, tomatoes, cayenne and parsley and mix well. Simmer uncovered for 20 minutes. If you are adding pasta, pour it in. Cook gently until the pasta is done. Add the mussels and cook for another 3 minutes. Serve hot with a nice medium-bodied Italian red, a dry rose or an amber beer. If you're not adding pasta, be sure to have lots of crusty bread. You can find dozens of recipes for mussels and other shellfish here on Hunter Angler Gardener Cook!